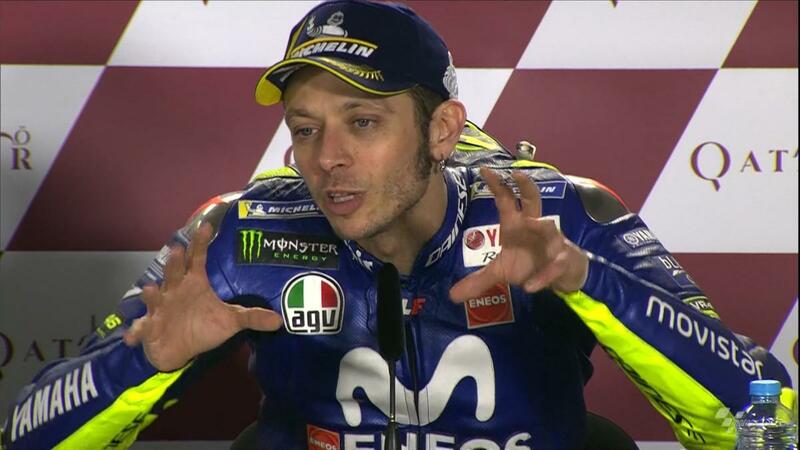 Home 2018 GRAND PRIX OF QATAR motogp Movistar Yamaha MotoGP RAC Valentino Rossi Rossi on being 'hunted by the wolves' in Qatar! Rossi on being 'hunted by the wolves' in Qatar! 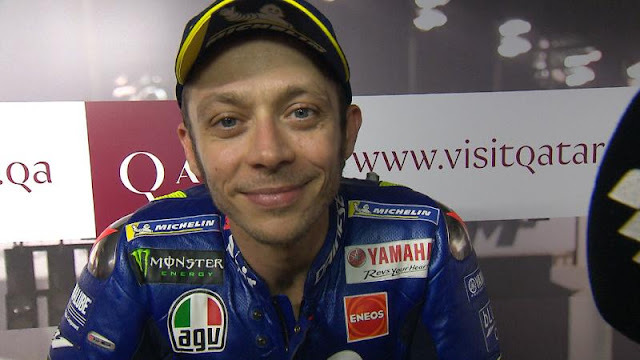 Impressing under the floodlights in his 12th season in the MotoGP™ paddock, Valentino Rossi (Movistar Yamaha MotoGP) began his 2018 season with a strong pace, something he believes he didn’t have when he found himself in the same position 12 months ago. Starting the race from the third row of the grid after a tough qualifying session, the Italian put in remarkable opening lap to get up into fourth but had a battle of ten riders to contend with. 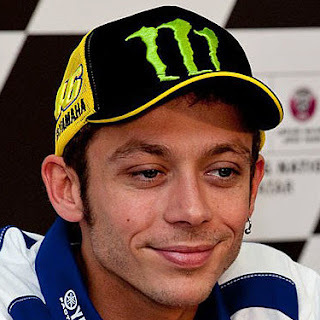 With no breakaway rider in the first half of the race, the top ten stayed together and were all lapping with competitive times, of which Rossi explained it was difficult to assess if he had podium pace: “This year the problem was that the first ten riders had a very similar pace, so you had to wait for the whole race to see what was enough for the podium. But I am happy because, in the last period, the strongest on the track was Dovizioso and Marquez, so to stay with them until the end is a good way to start the season”.